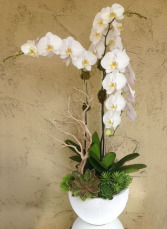 Our dedication and attention to detail, along with our passion and design experience, creates the most beautiful floral arrangements to complete any space. 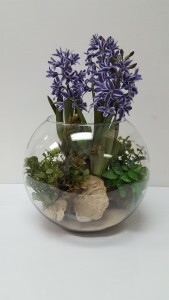 We have a professional friendly team who we would not hesitate to recommend to anyone looking for a wow factor for your interiors. 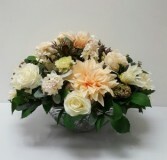 It would be a pleasure to deal with your company. 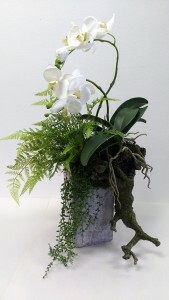 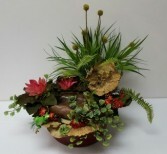 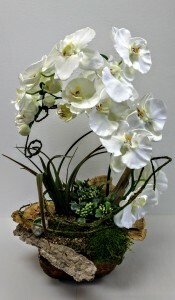 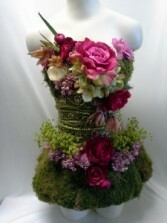 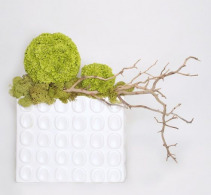 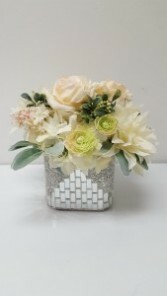 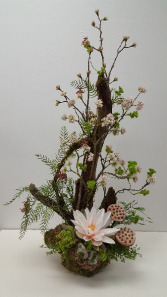 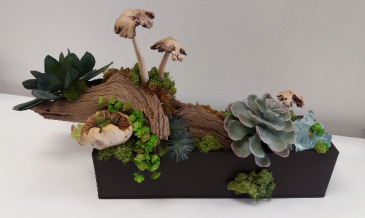 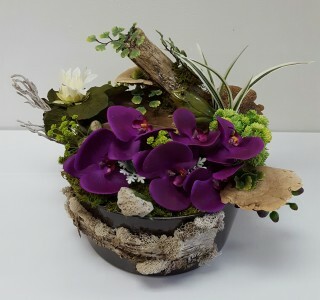 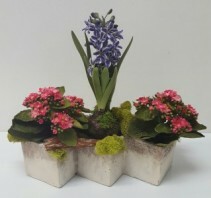 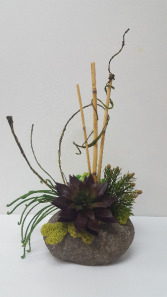 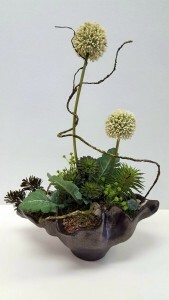 This beautiful piece is created with a modern white rectangle vase and different types of moss & branches. 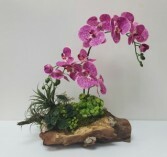 This is just and example of what we can create for your office or home. 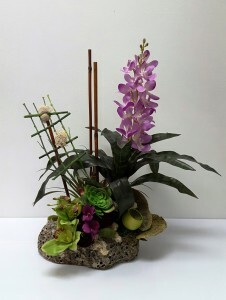 This beautiful piece could be created with different types of modern vases & very realistic orchids in the color of your choice. 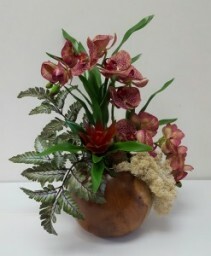 This is just and example of what we can create for your office or home. 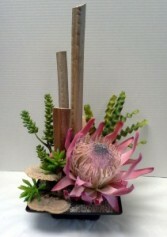 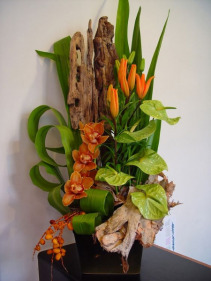 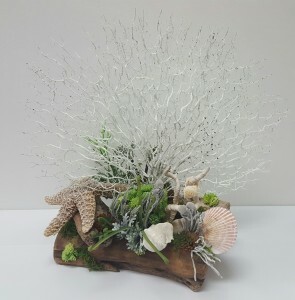 This beautiful piece is created with various sizes of drift wood and very realistic tropical flowers. This is just and example of what we can create for your office or home.